Ian Klemm’s dad taught him the fundamentals of marksmanship during the long Midwest winter months while shooting small-bore in the basement range of his grade-school. This lead to a lasting interest in all things related to precision marksmanship. After earning a degree in Mechanical Engineering from The University of Wisconsin, Ian fostered a career specializing in weapon, munition, armor, and sighting system design. Since he began shooting F-class in 2010, Ian has earned a seventh-place finish or better, individually, in six of the last seven F-class US National Championships. 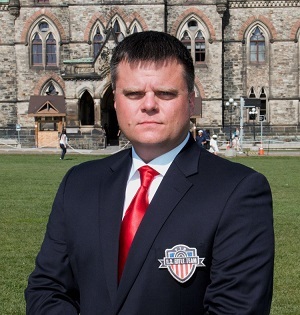 He has broken a few US National Records along the way and has helped win gold medals while team shooting in the 2015 US Nationals, the 2016 East Coast US Nationals, the 2016 Canadian Nationals, the 2017 Berger Southwest Nationals, and the 2017 World Championship. He also placed 17th and 16th overall in the 2013 and 2017 World Individual Championships, respectively. Lastly, he is the current 2017 and 2018 US F/TR National Champion, winning by the largest margin since the beginning of the sport. When not competing, Ian enjoys metal and woodworking, and building his own rifles. Ian currently lives in Madison, Wisconsin with his lovely and supportive wife, Beka, and works as Senior Engineer for Vortex Optics. Paul Phillips was the Adjutant of the US Rifle Team. He served in the United States Marine Corp as an Infantryman and earned his Combat Action Ribbon. 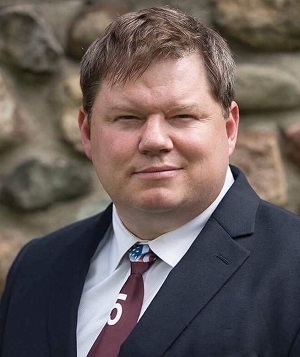 After the service, Paul earned a bachelor’s degree in Criminal Justice from Michigan State University while also winning the 1996 NRA Long Range Collegiate Championship. Later, he graduated top of his class in FBI sniper school. Since then, he has won Gold Medals as a member of 2009, 2013 and 2017 World Championship teams, four America Match teams and Eleven National Championship teams. Most recently, at the 2017 World Championship Paul won a Gold medal at the 900 meters. Paul has set, tied or broken over 45 NRA National Shooting Records and earned his International Distinguished Shooting Badge #19 in 2016. Paul started shooting ELR in 2016, and has won the 2016 and 2017 King of 2 Miles as a Coach. He has since launched his consulting firm, Global Precision Group, in support of television marketing and consulting across the industry. Derek Rodgers is the current F-Class FTR World Champion. He is also a former F-Class National Champion, record holder, and one of the most decorated FTR shooters of all time. Derek is the only person to win both F-Class divisions at a National level event. He was also part of the award-winning multi-time National Championship Team Sinclair and participated on the 2013 and 2017 Team USA squad that took home the Gold Medal at both World Championships. As Derek continues to push the distance in the shooting world, he and his team won the 2017 King of 2 Miles match held in Raton, NM—Derek was the first person to hit the 2-mile target, Derek became the 2017 KO2M Individual Champion. Derek is from Albuquerque, NM and calls the Land of Enchantment home. As a child, he was introduced to shooting by his father. His passion for hunting and marksmanship continued to grow through his formative years bringing him to shoot competitively. Rodgers enjoys spending his time outdoors with his wife and two daughters. He is blessed by his faith and supported by his family. His goal is to be able to pass on his shooting knowledge to the next generation. 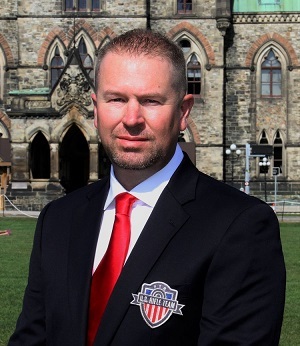 Mark Lonsdale is a former national and internationally ranked rifle and pistol shooter IPSC, USPSA, 3-gun, Service Pistol; 2x winner of the French International. He was also an international judo champion and certified national coach. Since 1982 Mark continues to serve as the Training Director for the Specialized Tactical Training Unit, running advanced firearms courses, CQB, sniper training, and pre-deployment training for military and LE. He is also a Law enforcement training officer and certified firearms instructor. 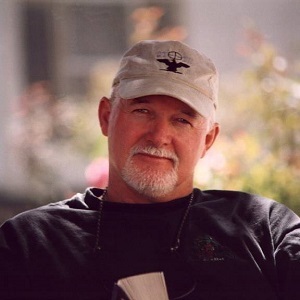 Mark has authored ten books and several dozen articles related to advanced weapons training, sniper, CQB, raid, and COIN operations. He has also deployed a dozen times to Afghanistan, Iraq, UAE, Lebanon, and Africa as a military adviser, defense contractor, or security consultant. 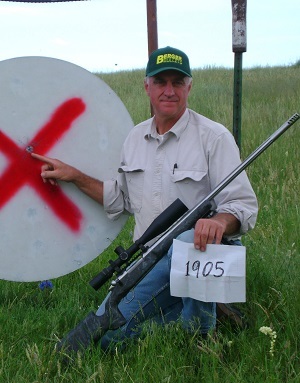 Jeff Brozovich is a longtime rifle shooter who started shooting long range in the 90’s. This venture led him into ELR shooting, and his love for long range precision prompted him to develop the website, Long Range Only.com. Jeff resides in Montana where he enjoys the access to targets beyond 2500 yards from his backyard. He prides himself in precision hand loading, Long range hunting, and some cartridge development and testing. Jeff spends much of his time testing and perfecting the art of the cold bore hit. He loves testing and reviewing new equipment for his LRO website, and is very excited about the direction that long range and extended long range technology is taking us.